(f) Dependable after sales service. Since 1992, JRD is manufacturing Rubber Moulding Machines under technology transfer agreement with FET (USA) approved by Reserve Bank of India. The moulding machines manufactured by JRD are therefore based on most advance, sturdy & deflection free designs of our foreign collaborator. So also, the structural, hydraulic & electrical components of the machines are from multinational companies of repute. 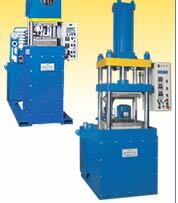 Notwithstanding the designs & other inputs as above our machines are sold at economical Indian prices. 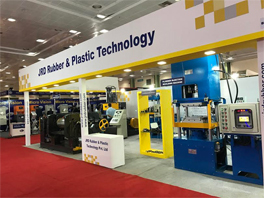 Behind the above mentioned features of the JRD Machines is a team of highly qualified competent professionals headed by Mr. Rajiv Gugnani, Managing Director, who himself is M.B.A. from Seton Hall University, U.S.A. and has considerable professional experience in the rubber Industry. By far, JRD is well known for its prompt & effective After Sales Services. All this has led to customer satisfaction both in sales and after sales. Our keen attention to customers' need and our devotion to low cost quality services has enabled JRD to grow from a small company to a strong and viable enterprise with vision and an inviolable focus towards effective management.